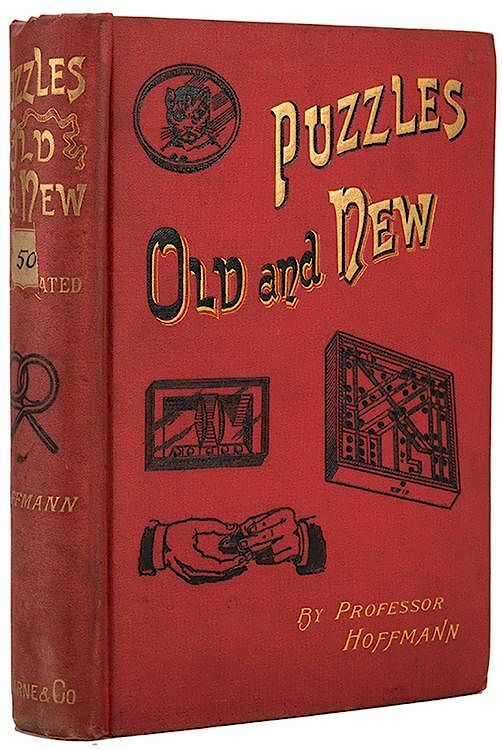 The Natural History of tlie Puzzle has yet to be written. It is a plant of very ancient growth, as witness the riddle of the Sphinx, solved by (Edipus, and the enigma wherewith Samson confounded his Philistine adversaries. Homer is said by Plutarch to have died of chagrin at being unable to guess a riddle ; and folklore abounds in instances where the winning of a princess, or the issue of some perilous adventure, is made to depend upon success in solving some puzzle, verbal or otherwise. In more modern times grave mathematicians, like Cardan and Euler, have not disdained to employ their leisure in the fabrication of " posers " for the puzzlement of their less erudite compeers.